Sometimes things do not come out, as we all would have anticipated. Other times, like all human beings judges also make mistakes. These mistakes can cause families to separate and cause land immigration back in their country of birth with no more legal defense. Immigration appeals are extremely important in the work we do. The cases we handle and the clients we represent all have relied on us to protect their needs at the appeal process. There are many considerations that one must look into while decision to appeal or not. The window to appeal tends to be around 30 days from the final decision, which leaves little room to make mistakes. Sometimes important evidence is overlooked or ignored by the Immigration Judge; others the Judge failed to consider testimony from one of your witnesses and yet other times, immigration court rules or procedures are used against you in an unfair manner. 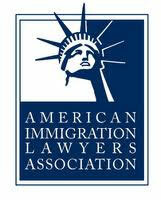 But immigration deportation appeals are no ordinary challenge and our team is ready to help you.